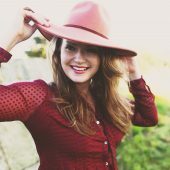 Ashley Burnett has been the creatrix behind Strong Body Love for the past 7 years, and serves her community as a women’s leadership coach, women’s circle + retreat facilitator, dance party starter and earth-based ritualist. 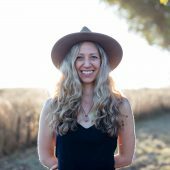 She lives in the charming town of Petaluma, CA, located just an hour north of San Francisco in Sonoma County, and has the pleasure of running her retreats at her workshop space on 22 acres of expansive land. When she's not holding a women's retreat or coaching her client's, you'll most likely find her hiking, dancing, practicing yoga or making herbal potions in her old school kitchen. 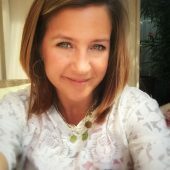 Amy D Marie is our Certified Online Business Manager who works behind the scenes making sure that everything is running smoothly. She is passionate about supporting women and loves being an integral part of Strong Body Love. When she isn't making magic at SBL, she's supporting other heart-centered entrepreneurs automate, market and grow their businesses without burnout. When Amy isn't working, you will find her outdoors exploring in her beautiful backyard...Lake Tahoe. Monica Lucero aka "Moni" is our beloved Retreat Doula and Assistant for our retreats and women's circles here at Strong Body Love. She helps create and hold a safe space for all of our retreat and circle attendees and has been gracing us with her loving presence for the past 4 years. 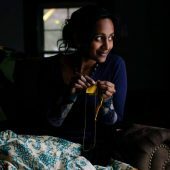 When not assisting SBL events, Moni works as a holistic health coach in San Francisco, CA with a focus on liver cleansing, anti-inflammatory diets, fitness and applied mindfulness. She is also a certified Neuro-Linguistic transformational coach, Cranio Sacral Therapist and Reiki Master Teacher, and we're deeply honored to have her as an integral part of the SBL team. Mira Nussbaum is our beloved seasonal chef for our retreats and women's circles. 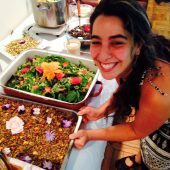 Cooking is Mira's passion and her mission is to thoroughly nourish your body, mind and spirit... And indeed she does - her food is truly incredible, and she weaves the energy and intention of each retreat into her culinary creations! Mira honors the sacred process of cooking and eating, seeing it as magic and medicine - connecting us to the earth, to our bodies, and to each other. And she invites us all to take some time during each meal to feel the food fill us with life...yes please! We're so grateful for her presence at our events and for her culinary brilliance! 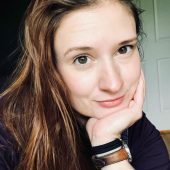 Ansley Fones is the mastermind behind our gorgeous SBL website, and designs all of our marketing materials throughout the year - flyers, pdf's, our moon calendar, you name it! When she’s not designing and building beautiful websites for SBL or her other clients, she’s playing way too much Dungeons & Dragons, throwing a ball for her wonderful pup, inhaling television, off at happy hour with her long-term partner Danny, or most likely sleeping. Rani MacNeal supported us as our SBL Virtual Assistant for 3 years, and currently steps in here and there as our project based VA. She has also come in as a guest facilitator of the Soulstice Sisterhood, teaching our community how to hold ceremonial rites of passage. We've been honored to have her support over the years, and appreciate it when she can still step in to help during big launch periods!